Let’s take real estate, for example. Frequently a DST is established as a bail-out or a Plan ‘B’ for a seller who is pursuing a 1031 exchange. Industry statistics show that 20% to 30% of 1031 exchanges fail because a seller is unable to identify their upside property within 45 days and successfully close on the identified property within 6 months. In other cases sellers are forced to exchange into a property that is not ideal because of the rigorous requirements. In such cases, the DST can save the seller from an unwanted tax burden and at the same time provide flexibility in terms of timing to find a suitable investment property replacement without the constraints imposed by the IRS. The Trustee will transfer funds from the DST to the LLC for the seller ( as LLC manager) to acquire the property. (*) Why does the DST require a preferred return? The sales proceeds of the initial sale are the sole source of assets that are used to both generate a return for the seller and to pay back the principal amount of the sale. 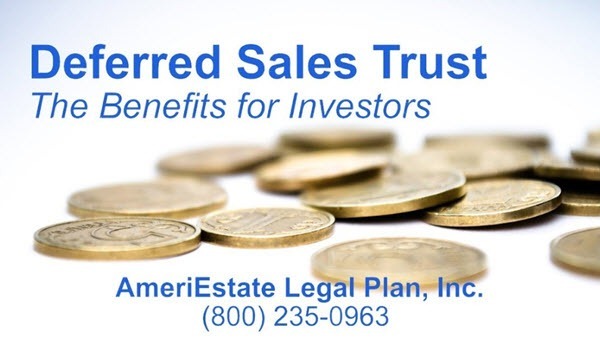 The Trustee pays the seller his or her structured payments from the Trust itself. The real estate component of the Trust is therefore one source of the cash flow needed to pay the seller the agreed upon payments. Some equate this to borrowing from your 401k and then paying yourself back with interest. Then when you decide to sell the property, if you do, then you receive the vast majority of the profits. If you don’t sell during your lifetime, your heirs enjoy those additional profits. The same or similar structure can be created for other forms of alternative investments requested by the seller.